If you want to learn Portuguese with songs, you might not immediately think of samba music. Actually, depending on the depth of your knowledge of Brazilian culture, you might not think of samba at all. Samba music is a rhythm- and percussion-heavy style of Brazilian music that has its roots in Africa. It’s a fun sound—and a fantastic way to learn the language and culture of Brazilian Portuguese in one toe-tapping package. However much you love Brazilian music, maybe the first songs that come to mind aren’t the best ones for learning Portuguese. Sure, Elis Regina’s “Aguas de Março” (Waters of March) has listeners floating down a bossa nova creek on a fall day—but the tricky nature of the vocabulary in the lyrics can require a lot of paddling for a beginning or intermediate learner to stay afloat. Gilberto Gil, Tom Zé, Caetano Veloso and others wrote great, complex, poetic and often political songs that are essential to the Brazilian oeuvre and mindset, but not the easiest to approach when you’re starting out with the language. Jorge Ben and the samba rockers who followed him, on the other hand, penned songs about subjects that are much more approachable. The language is easier to understand—you won’t have to look up every single word. The verses are short and the main themes are often girls, soccer and the awesomeness of Brazil. Samba rockers also have made some of the funkiest and most innovative music on the planet. This article presents some of the greatest and most essential samba rock grooves for beginning and intermediate learners of the Portuguese language, and a few tips on how to approach each one. You’ll soon be able to study Portuguese with samba songs and other authentic Portuguese videos with FluentU. FluentU takes real-world videos—like music videos, movie trailers, news and inspiring talks—and turns them into personalized language learning lessons. Gum and banana sounds like it would taste terrible, right? That’s exactly the point. This song was originally performed by Jackson do Pandeiro (and written by Gordurinha and Almira Castilho) as a critique of those who’d dare to mix samba with rock, or mix “Miami with Copacabana.” It was a huge hit for him in 1959, right at the time that rock was starting to land. Gilberto Gil, on the other hand, is known to mix in plenty of rock himself, so it’s safe to assume that when he’s singing it, the exercise is a bit tongue in cheek. His version is slow and well enunciated, so it’s a good one to learn from. As you listen, note the instruments that get mentioned (you’ll learn the names of four essential Brazilian instruments). What should Uncle Sam pick up before the singer will even consider mixing gum and bananas? Now that we’ve looked at a simple song about samba rock, let’s get into that juicy, gummy, banana-y stuff. The video above is a live version of this famous hit (and about two minutes in Jorge transitions into “Spyro Gyra”). Jorge Ben’s rhythmic base-like attack on his guitar was at the heart of the creation of samba rock. Pais Tropical’s lyrics are an ode to Brazil. You should know that while Flamengo—a word he says in the lyrics—does refer to the bird you’re thinking of, here Jorge is talking about being a fan of the Rio soccer club. He’s got that, he’s got a girlfriend named Tereza, he’s got his friends and he’s living in a tropical country. What more could a guy possibly want? The lyrics for this song are straightforward: Let’s get down and groove, our music is black music, we’re mixing samba with rock, rock with samba. The only tricky part may be the word balançar. It can mean to swing, to move back and forth, to hang and oscillate. As you might imagine, it’s quite useful for talking about dancing. The verb can mean to shift your weight entirely from one side to another with a lot of swing and attitude. Samba rock is a style of music, but also a style of dance particular to São Paulo and unknown to most other Brazilians. When I was living in the city, this band played regular gigs there for samba rock dancers. The events drew dancers who attained the most deliriously happy group state that I’ve ever seen without an assist from liquor or other drugs. macaco velho não bota a mão na cumbuca: This phrase translates as “The old monkey doesn’t go sticking his hands in gourds.” That is, he’s too wise to get his hand stuck in there. malandro: My preferred translation for this is always “badass”; some dictionaries would tell you it means scoundrel, crook or swindler. There’s a style of walking that’s associated with the word and important in samba de gafieira (a complex dance that’s a bit like funkified tango). Think of the coolest way you could possibly lope down a hill from your Rio favela. The frequently discussed concept of malandragem should be translated as “badassery,” although as yet English just isn’t cool enough to have that word in general usage, nor any other suitable substitute. eu não quis ouvir: This means “I didn’t want to listen” or, in other words, I failed to listen to my mother’s advice to hang on to my dear girl. 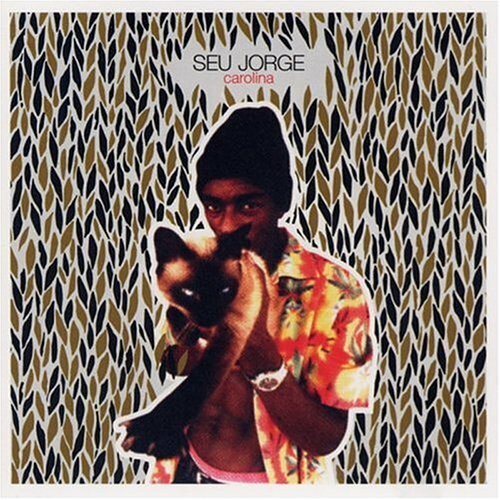 Seu Jorge’s ultra-infectious samba rock hit will carry you away. I can’t imagine not wanting to perfect one’s Portuguese after experiencing the song. As with most men singing in Portuguese, or any language, there have been some troubles with a woman. The lyrics tell us that she’s a “difficult woman to forget” and she’s not returning his calls. So of course this is true love! This song gives you many ways to express your undying devotion to someone amazing, that maravilha feminina (feminine marvel) you can’t forget! The lyrics to this Seu Jorge song are quite a simple description (mainly, a list of nouns) of the life of an upper-class Brazilian girl who’s had everything handed to her. Class distinctions are profound in Brazil and this is an accurate, if condescending, description of how some such women live between the hairdresser, the nightclub and the beach house. I said earlier that Jorge Ben was mostly crooning about girls and football, but this song shows that he can write something truly touching when he wants to. I have such a strong memory from a decade ago of piecing apart these lyrics when I was just starting with Portuguese and tearing up as I finally figured it out. Skip the next paragraph if you want to experience that on your own. Zumbi was the last leader of a settlement of escaped slaves in Brazil. This song provides a striking image of an African princess on a slave auction block, and the singer says “eu quero ver quando Zumbi chegar o que vai acontecer“ (I want to see what will happen when Zumbi arrives). To learn more about Zumbi, check out Black History Heroes. You can also give your language skills a further boost by reading more about this song in Portuguese on Wikipedia. This song’s lyrics are a bit more of a challenge to take apart than the others presented here. The key is that the singer (Curumin) sees himself as a warrior in the sense of a guy on a mission, looking for someone who he really wants to come to him (vem pra mim). Ginga is a sauntering walk; the singer tells us that he’s rolling with the punches, swerving as necessary. By now you might be wondering: Can women do more in samba rock than be the objects of men’s frustrated desire? Paula Lima says yes. The lyrics are pretty simple. Yet again, a man is in pursuit (the gender roles haven’t changed, sorry), but the singer says “vou deixar você chegar” (literally, “I’m going to let you arrive”). She loves his smile and his malícia (evil, deviousness; this is often meant as a “so bad it’s good” type of appeal), so she’ll allow it. This time. If you’re wondering what São Paulo’s samba rock dancing looks like, you can see a bit of it in the above video. This song from Franco leans much more towards old-school rock and roll. This is a fun and silly song. Roeu is the third person past tense of roer (to gnaw), so we find out about a rat gnawing on a Roman king’s clothes, eating a rock and then, somehow, boogie-woogie gets mixed with samba and becomes rock and roll. If you’ve made it this far, I hope you’re both speaking better Portuguese and are newly addicted to one of the world’s most varied and funky styles of music. Spotify users can listen to a curated playlist of even more samba rock music. Two related styles of music to check out are samba funk and samba hip hop. In case you’re wondering, rock brasileiro (Brazilian rock) is entirely different, being more like international-style rock sung in Portuguese. After that, there are only some 300 other styles of Brazilian music to take on, but those are topics for another day. Rock on and enjoy learning Portuguese with these songs! Mose Hayward’s erstwhile commentary includes the nine reasons that Portuguese is the best language for music—lexically, geographically and phonetically.